It’s groundhog day every day. It’s political partisanship on steroids. It’s all about the GOP bringing down the Affordable Care Act (ACA), and damn the consequences! Since 2010, the GOP has tried – and failed – to reverse the law. Now, it’s round two at the Supreme Court. The first time around the ACA was upheld. This time around the Supreme Court is sharply divided. Tax subsidies that make insurance affordable for millions of Americans are at stake. The justices are trying to determine whether the law makes people in all 50 states eligible for federal tax subsidies to cut the cost of insurance premiums. Or, does it limit tax credits to people who live in states that created their own health insurance marketplaces? 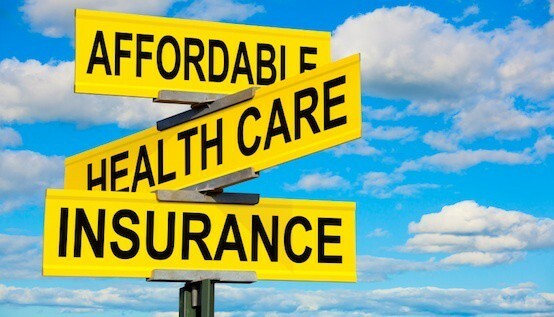 A ruling that limits where subsidies are available would have dramatic consequences because roughly three dozen states opted against their own marketplace, or exchange, and instead rely on the U.S. Health and Human Services Department's healthcare.gov. The new case focuses on just four words "established by the state" in a law that runs more than 900 pages. This is a classic case of nitpicking, hoping for a miracle reversal. The Supreme Court is expected to vote on the case Friday, although the results of the ruling may not be made public until June, when the court wraps up the current session. If the Supreme Court ultimately invalidates these subsidies, more than 9 million Americans would lose nearly $30 billion in tax credits and cost-sharing reductions by 2016, according to the Urban Institute; the uninsured ranks would increase by 8.2 million Americans; and the average Obamacare premium will increase by more than 200% (!!!). If that happens, it's going to produce a mad political scramble (in Washington and state capitals) to pick up the pieces for Americans who will paying higher health care costs due to the court's ruling. But if the Supreme Court rules in favor of the government -- that yes, the law was always intended to award subsidies to all Americans, no matter where they live -- it could bring an end to the great Obamacare War. Let’s hope this madness ends once and for all so those insured Americans can get on with their lives and not have to worry about a partisan battle leaving them uninsured someday.